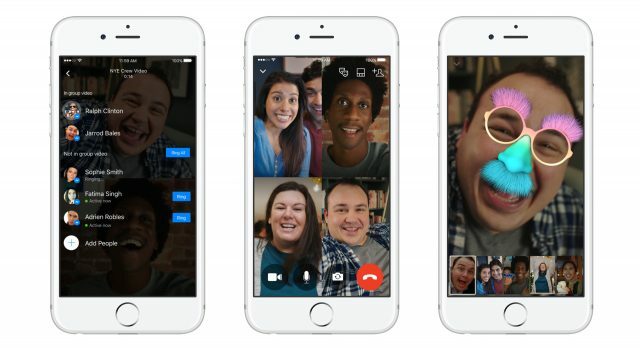 Facebook Messenger has started rolling out a new update today which adds the much awaited group video calling feature for both Android and iOS. The group video calling feature currently works for up to 6 people at a time. More members of a group chat can listen in or join via a voice call up to maximum 50 people as that is the cap set by Facebook on its group chats. Initiating a group video call is easy, just open your desired group chat (or create a new one), and select who you’d like to ring individually, or call the entire group and see who picks up. It’s pretty straight forward but the real test is the actual performance of Facebook Messenger’s group video calls under various network conditions and data speeds. The feature is good especially for people who have relatives and friends living abroad. For those of you who have already received the update, we would love to hear your experiences with your first group video call in the comments below. Cheers! !